A very popular and traditional variety of sprouting broccoli, producing an abundance of tasty spears from late March . 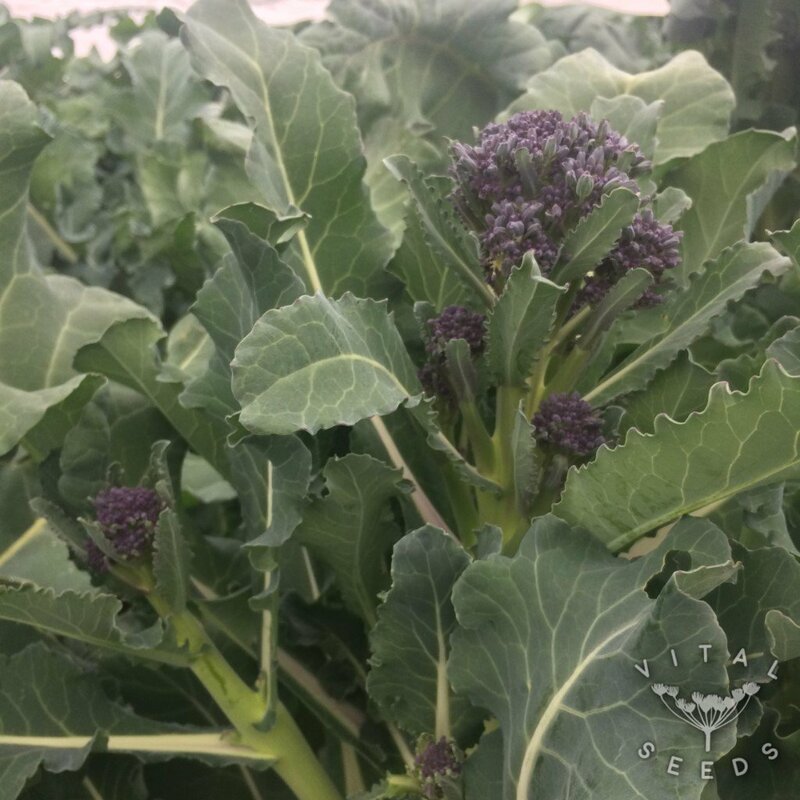 We love Early Purple broccoli, it comes at a time of year when we are in serious need of some green vegetables that are not kale, chard or leeks! We can quite happily eat it with every meal during its harvest window. 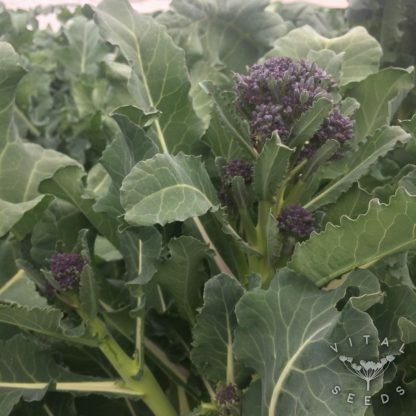 It is very versatile, being great seamed, stir fried, roasted, added to soups and stews, put in omelettes… the list could go on. 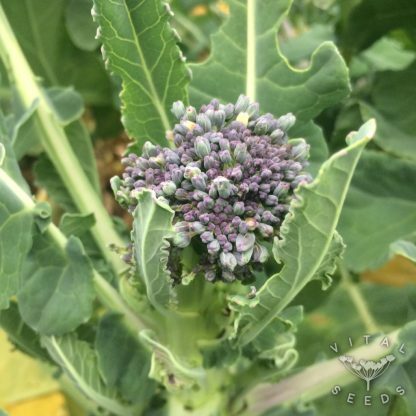 It is slow growing and takes around one year from sowing to harvest but it is well worth the wait, and each plant produces a lot of food. 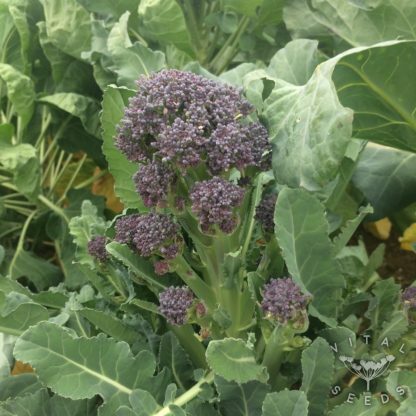 Plants can grow up to 1m in height.